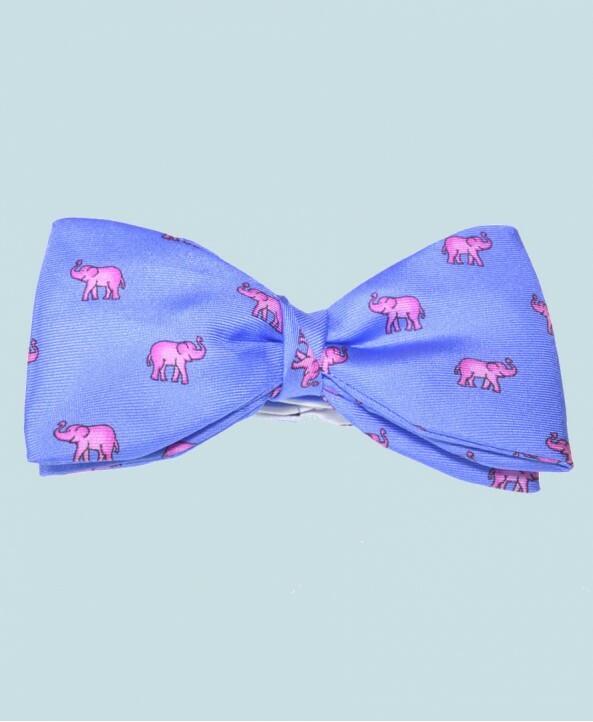 This classic silk ready-tie bow tie features a neat pattern of rose pink elephants with lucky raised trunks on a light blue background. The ready tie bow tie is made of finest quality Italian printed silk. A donation of 10% of the purchase price of this fine silk bow tie will be made by Fort & Stone to support Elephant Family in their work to conserve the endangered Asian Elephant.